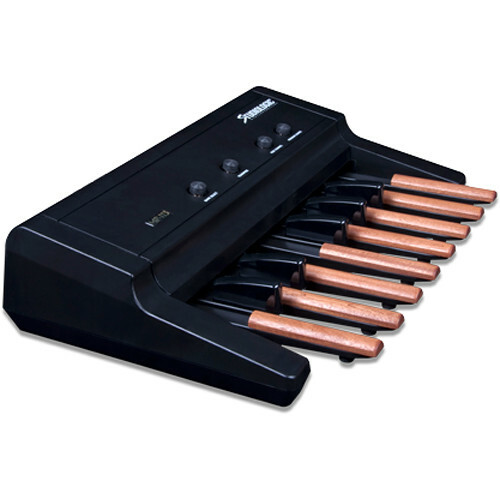 The StudioLogic MP-113 Controller Pedal Board features 13 solid wood tipped pedals and may be used as a MIDI organ pedal board, or send control and program change information to your MIDI keyboard controller, sound module, etc. The MP-113 may also be used to trigger lighting, sequencers and in other applications a MIDI control pedal would be used. Box Dimensions (LxWxH) 30.0 x 19.8 x 8.0"